Panasonic offer an extremely popular range of Smart TVs, and a Netflix app is readily available on them. This makes it incredibly easy for users to stream a huge range of movies, documentaries and TV shows directly onto their television set, in high definition quality. However, after signing up for a Netflix account, users are automatically directed towards the content library for their own particular region. The region itself is detected automatically through internet settings, such as IP address and DNS settings, and there is no way to manually switch regions within the app itself. In theory, this prevents customers from accessing content which is exclusive to other regions. Yet, in reality, there are several methods available to Netflix customers, allowing them to unblock the service and access content from other parts of the world, broadening the overall range of shows and films to choose from. The first method available to those running Netflix on a Panasonic Smart TV is to use a Smart DNS service. It is important to find a Smart DNS service which offers support for both Smart TVs and for Netflix, as the technology only affects supported websites and services and other browsing remains unaffected. 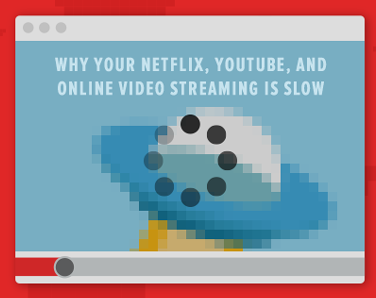 Smart DNS services are ideal for the purpose of unblocking Netflix, as they do not cause any significant slowdown. In simple terms, Smart DNS works by re-routing DNS queries through a proxy server. This process effectively makes it appear as if a customer’s internet connection is coming from the location of that server instead. So, for example, if the server is based in the United States, Netflix will detect that the user is based there, and the user will then gain access to the US Netflix content library. Following successful completion of the sign up process, services will provide users with new DNS settings to take note of. In order to make use of the technology, these must then be manually input within the Panasonic Smart TV’s settings. Please note: It is worth making a note of your current DNS settings before changing them, in case you ever need to revert back to the original settings in the future. Press either ‘Settings’ or ‘Setup’ and then select ‘Network Connection’. From the next menu, select your network connection type (e.g. Wi-Fi or Ethernet cable). Select ‘Network Settings’ and then ‘OK’. Choose ‘Custom’, then go to ‘DNS Setting Mode’ and select ‘Manual’. Enter the DNS settings provided by your service provider, save the settings and then restart your Smart TV. After restarting the television, the Smart DNS settings should take effect. The desired Netflix region can then usually be changed within your account with your Smart DNS provider, although individual services will offer their own instructions for this. Another possible method available to Panasonic Smart TV users is a Virtual Private Network service. VPNs work in a similar way to Smart DNS, except all internet data is encrypted and re-routed, offering greater privacy and security. On the flip side, while connected to a VPN, local websites may not work and some VPNs can cause serious lag. More on VPN Netflix. Unfortunately, Panasonic Smart TVs are not currently able to run a VPN service directly, so other methods need to be implemented to make use of them. Nevertheless, with the right setup, VPN services like VyprVPN, ExpressVPN and TorGuard are able to offer a decent service and are capable of unlocking Netflix regions. On BestSmartDNS.net you can find reviews of SmartDNS Services for Panasonic TVs. Although individual VPN service providers will offer their own setup tutorials for their product, essentially, Panasonic Smart TV users have two options for running a Virtual Private Network on their television: connect the Smart TV to a computer running the VPN software, or run the VPN on a flashed router. Connecting the TV to a computer running VPN software is the most simple method in terms of setup, but a disadvantage is that it can be slow. On the other hand, running the VPN on a flashed router will provide a faster service and the router will enable the VPN to be used on other devices, but the setup process is more complicated.